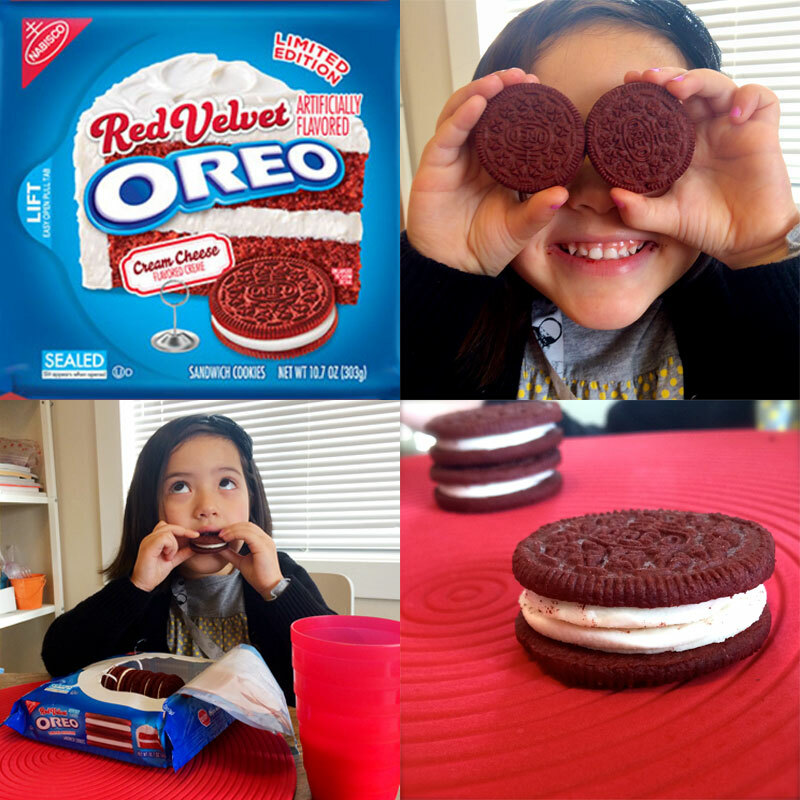 I enlisted the help of my #1 cookie tester yesterday to see if Red Velvet Oreos are something I should be looking into for a Four-Eyed Girlie Limited Edition Valentine Boxed Set this year (’cause you know I love making things with Oreos). I mean, they are pretty appealing to me for many reasons (they are red and red velvet flavored, enough said), but I wanted to make sure they didn’t have that chemically, artificial taste similar to strawberry cake mix and blue raspberry icees. So yeah, pick some up – you just might have the same reaction yourself once you peel back that seal and feast your eyes on that lovely red velvety goodness. 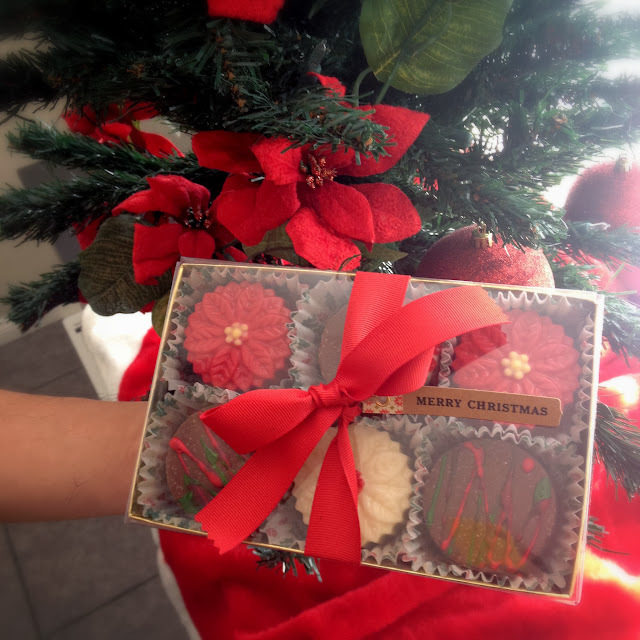 The package is smaller than the regular variety (just 20 cookies), so may help to lessen the guilt. 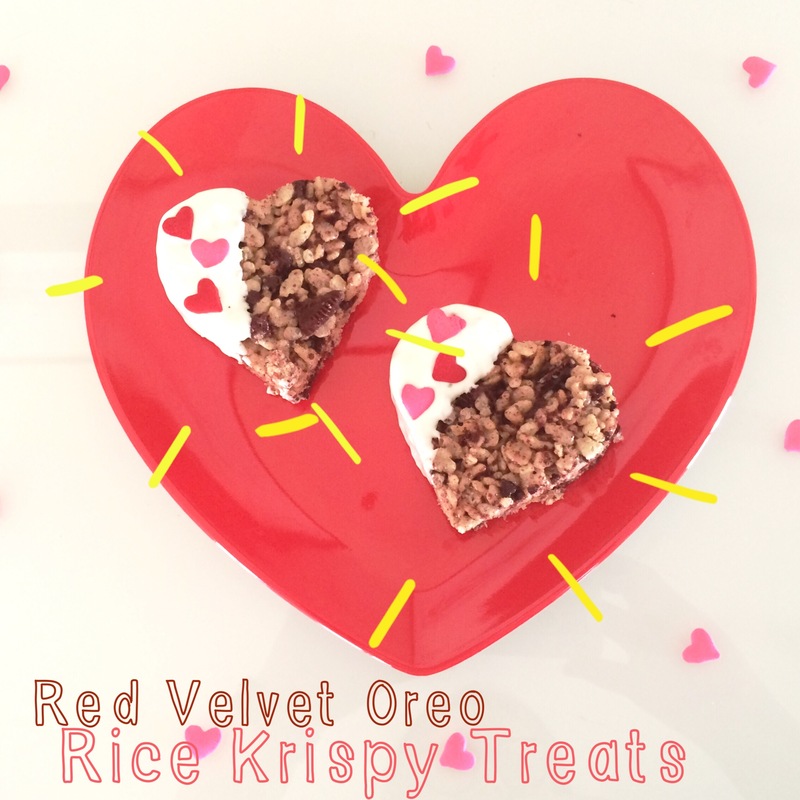 It’s been decided: Limited edition Four-Eyed Girlie Red Velvet Oreo Treats to come. Who’s in? Did Christmas sneak up on you as fast as it did for me this year? 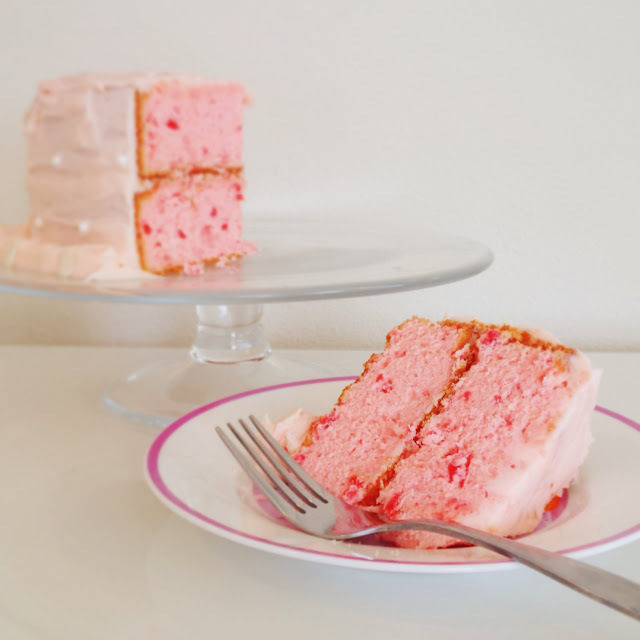 With limited time, I decided that I would ditch all my baking from scratch (gasp!) and have a little fun with Oreos this year. 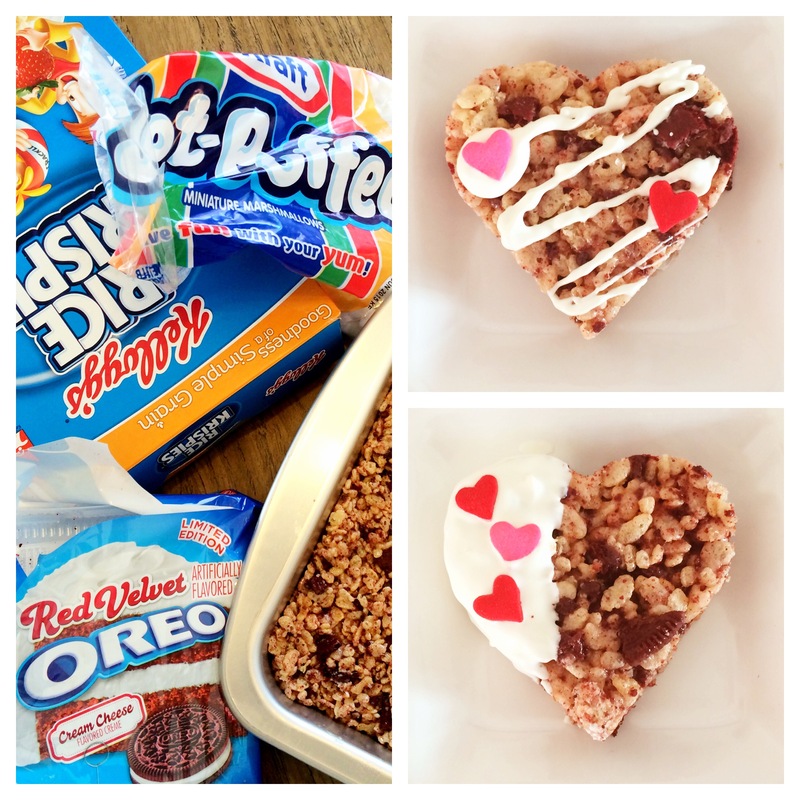 After all, it’s kind of merging my love for candy-making with cookies, and how could that be anything but a win? 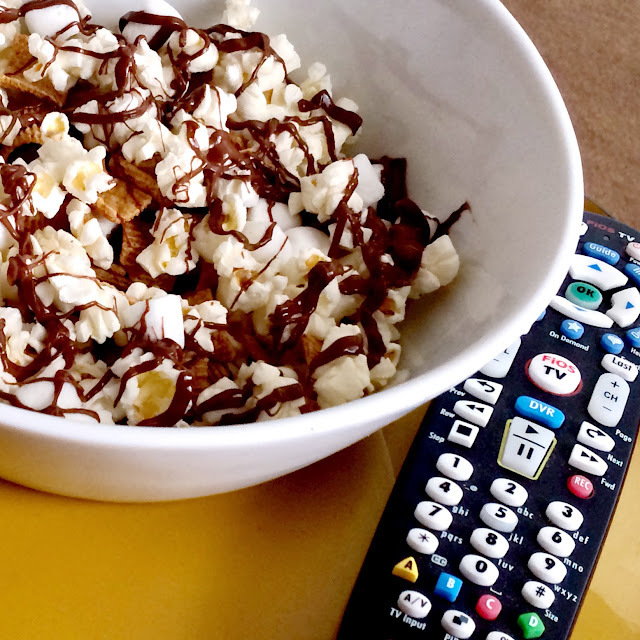 I had a lot of fun playing with different varieties of Oreos and chocolate combinations to make both pops and chocolate-covered treats. It’s so easy to do, I almost feel bad for bragging about doing it. I’ve been holding on to this little idea for awhile. After I first saw them on Love From the Oven I knew I had to make them. 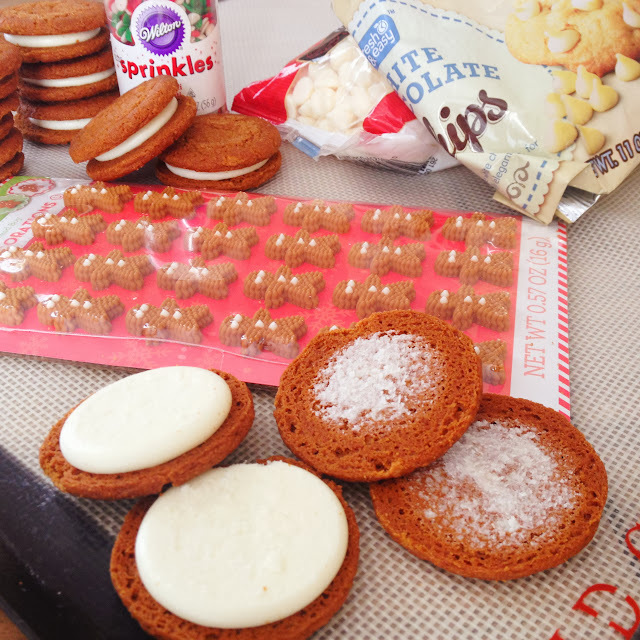 Did you know there were Gingerbread Oreos? Unfortunately, I couldn’t find them here locally in CA this year, but thank goodness Target came out with some generic “Gingerbread Sandwich Cookies” under their Market Pantry label. They tasted great and allowed me to stick with the theme! 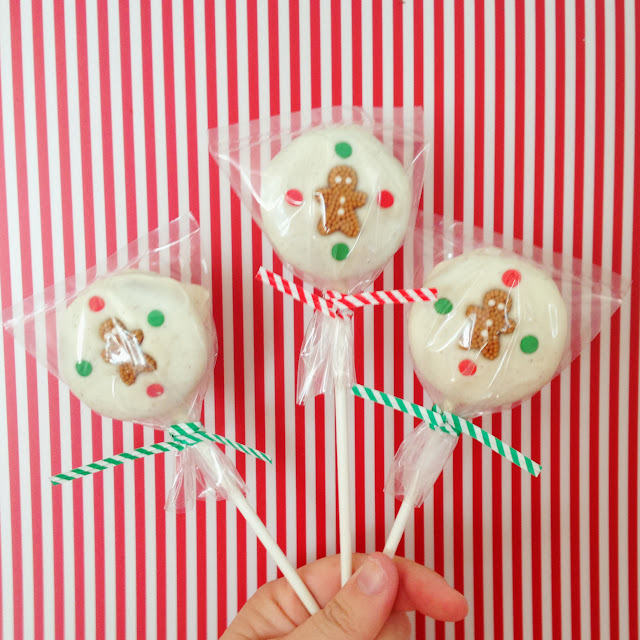 All you gotta do to make these cute little pops are buy some cookies, some white chocolate and some popsicle or lollipop sticks (and whatever sprinkles you think would make them look cute, if you’re into that). Screw the tops off your “oreos”, lay ’em on a tray, and get your chocolate melted. You dip the sticks in the melted chocolate, and gently push them down into the layer of creme filling. Make sure you’ve got enough chocolate on there to stick to the cookie once you put top back on as well. Once they’re put back together (“glued” by the chocolate), stick them in the freezer so the chocolate can set and the sticks will be in place. 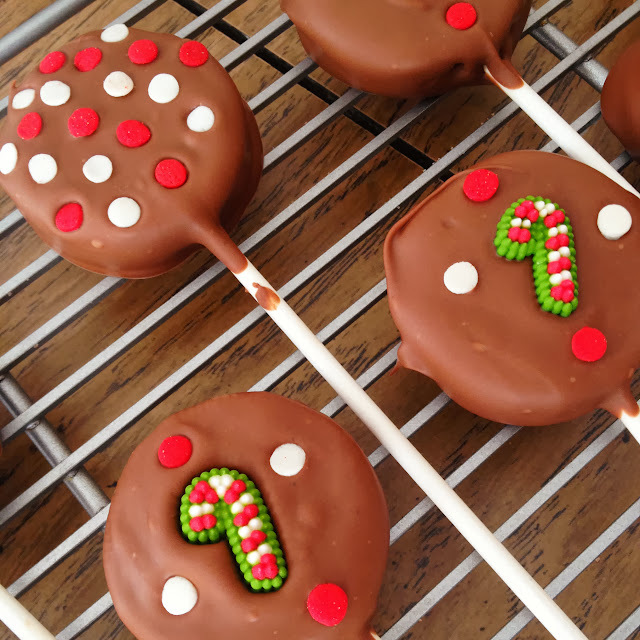 I used lollipop wrappers from Wilton and found cute holiday-themed twist ties to wrap ’em up with. 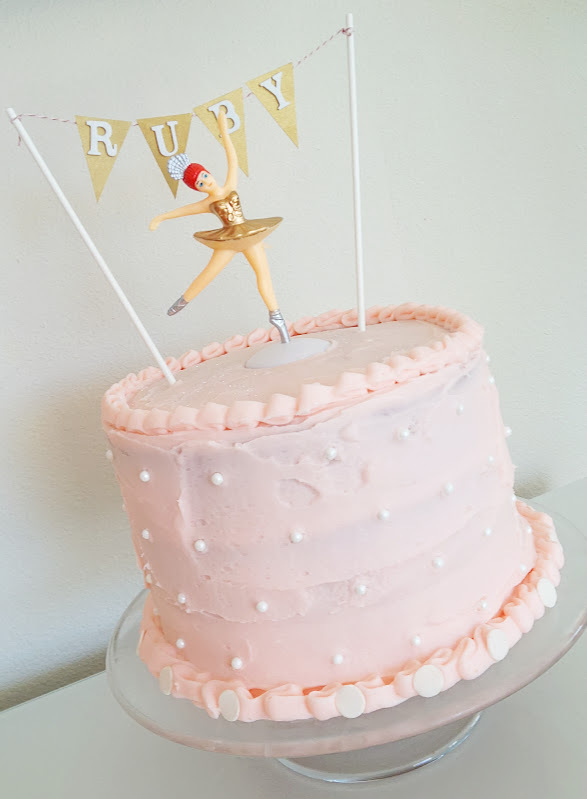 Piece of cake. And because I’m a sucker for those Candy Cane Oreos (and anything Peppermint flavored or themed during Christmas for that matter! 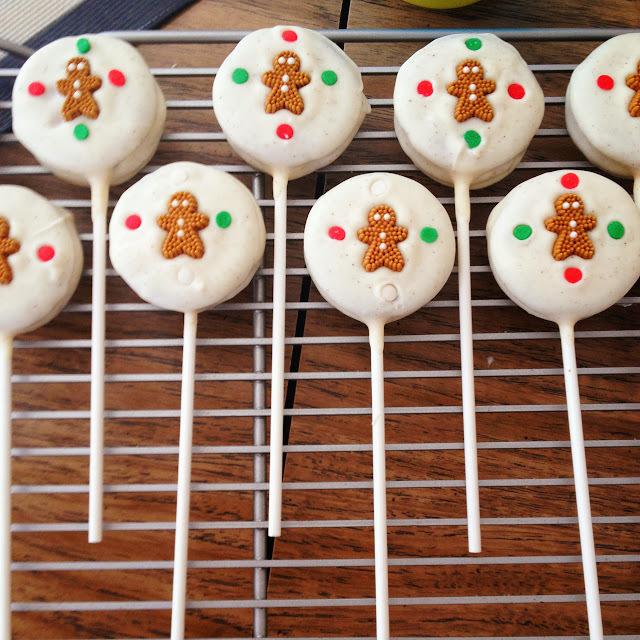 ), I did Milk Chocolate Candy Cane Oreo Pops as well. 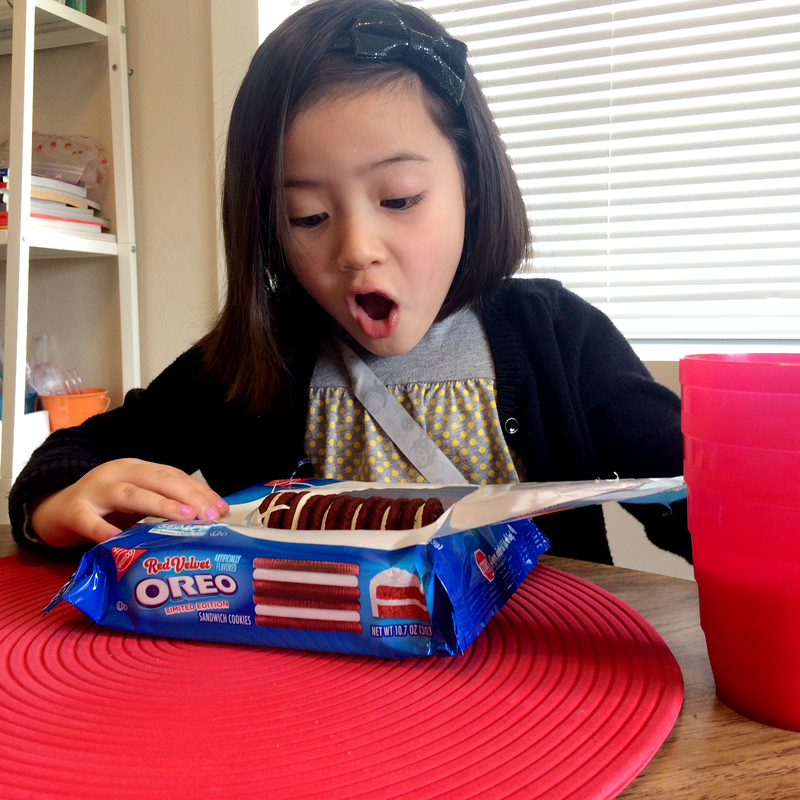 Seriously – these are so impressive and all you have to do is melt some chocolate into a mold and stick an Oreo in it – they really are that easy! My mom and I found poinsettia molds on the amazing Fancy Flours site a few years ago and we finally tried making a few last year. 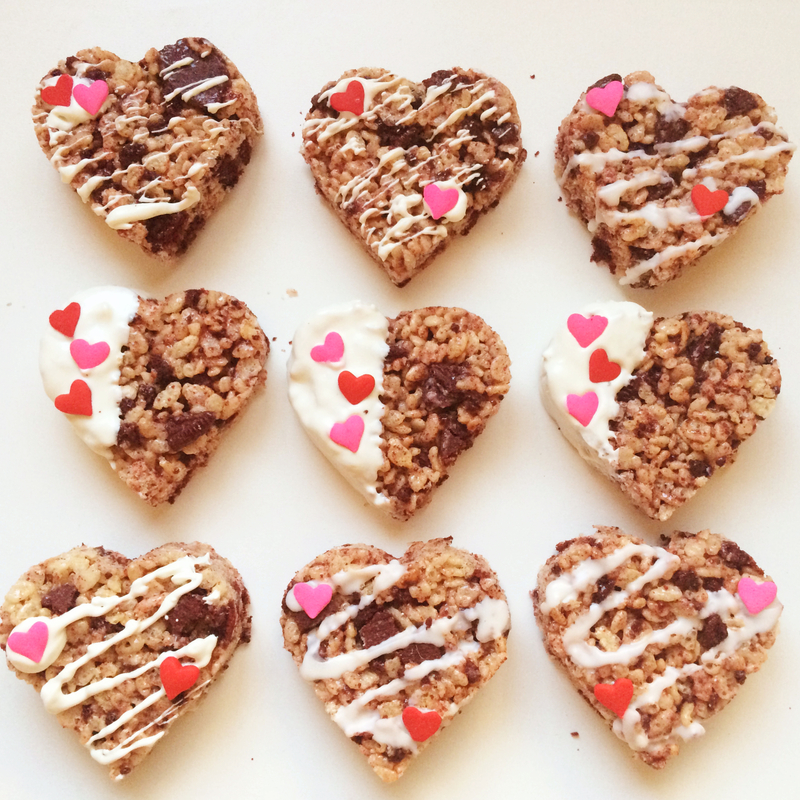 Since they turned out so gorgeous, we knew we wanted to make them for gifts this year. 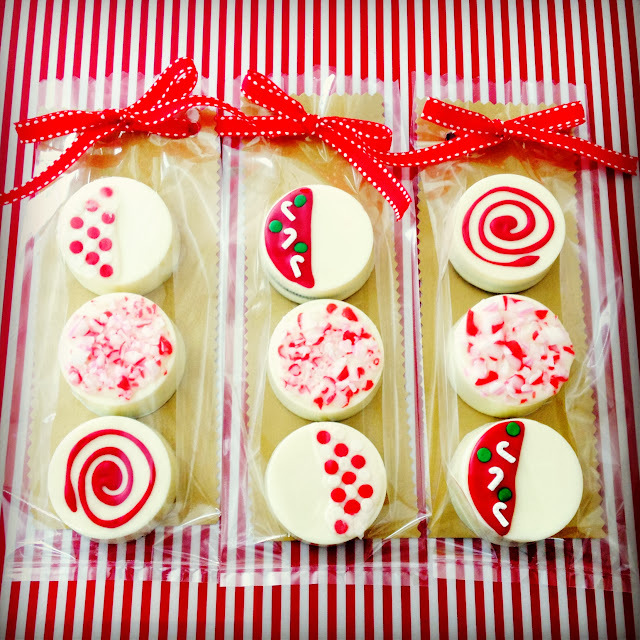 We bought Winter Oreos (regular Oreos with red filling) and made red poinsettias, and I bought some White Mint Chocolate to make white poinsettias with Candy Cane Oreos. 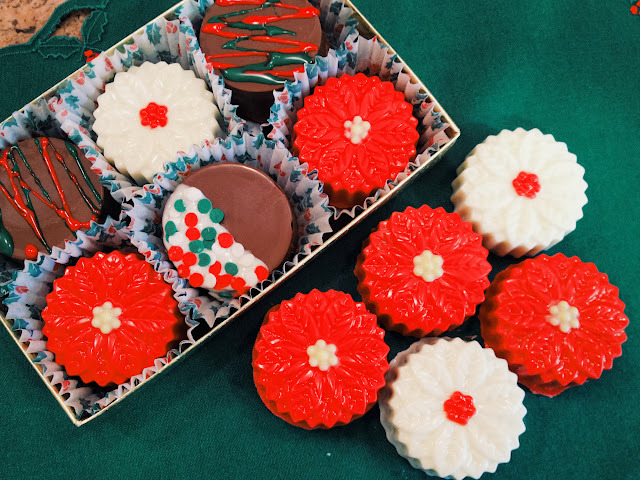 First, I melted a tiny bit of red chocolate to put in the center part of the flower mold (I used yellow on the red poinsettias) and let that chocolate set. 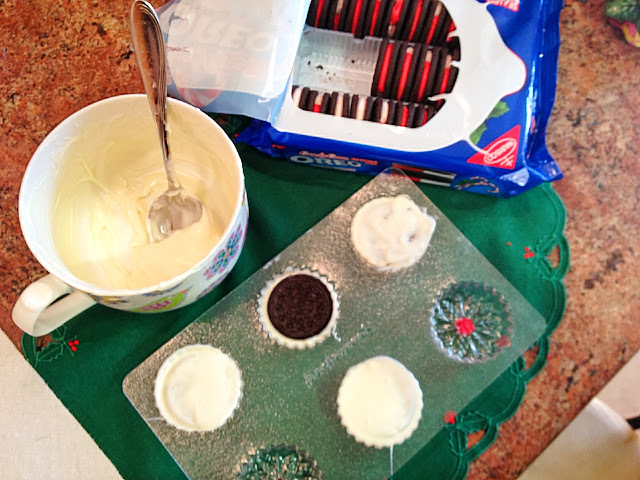 Then, I filled 1/2 the mold with white chocolate, submerged the Oreo, and covered the top. They’re ready to pop right out of the mold in about 15 minutes! I bought plain molds like these to get a cleaner look than the pops, and I was really pleased with how they turned out. 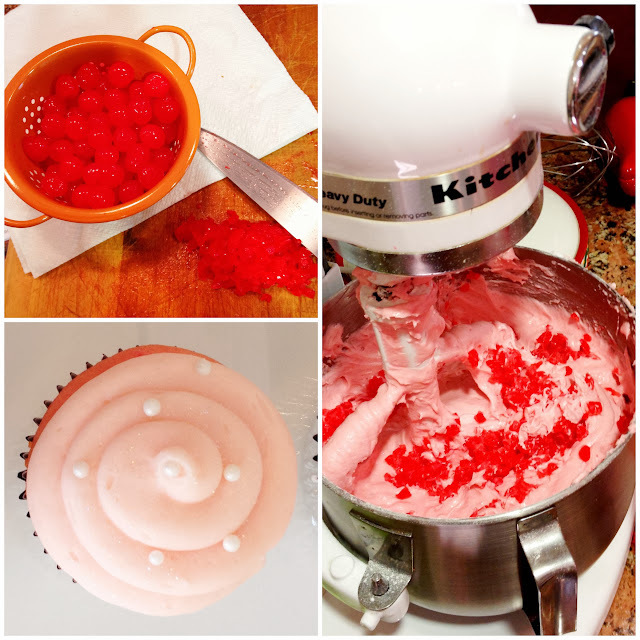 It was fun to use different sprinkles and toppings to create different looks for each one. I didn’t use anything fancy — just the Red and White sprinkles out of Wilton’s Christmas Confetti Sprinkle Mix, some of the white candy canes from Wilton’s Candy Cane Sprinkles, Crushed Candy Cane Topping and red, white and green cookie icing. Since I didn’t have boxes to fit three, I cut gold cardstock to fit inside of the Wilton Pretzel Bag and used my hole punch to add two holes to feed my ribbon through. I tied it up in bow and had a pretty little trio to gift a few friends with. 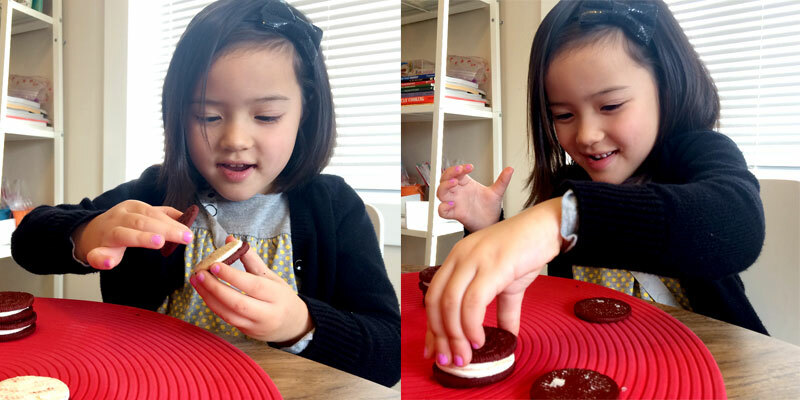 In the end, it was a really fun and easy way to dress up Oreos that ended up looking great. 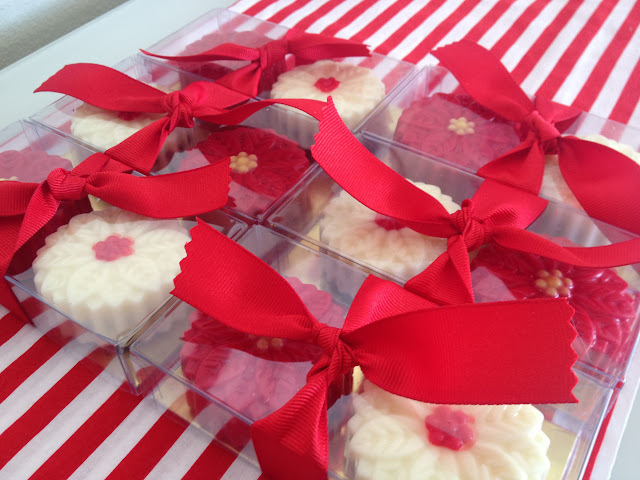 I made a few larger variety boxes with 6 cookies and wrapped them up with ribbon to give as gifts, too. I can safely say I’ll be making these again. You should too! 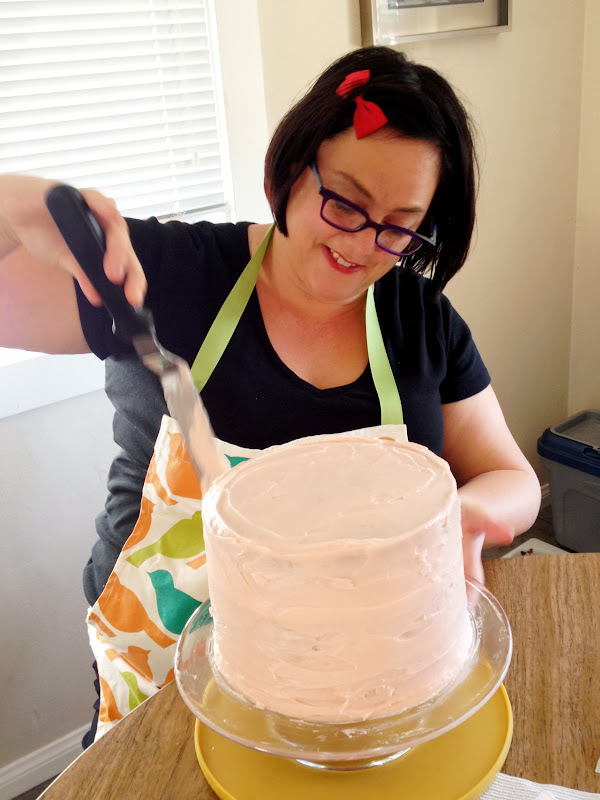 I was asked to make some treats for the Sip + Shop event at Fox & Moon Clothing last night and the lovely shop owner Kristen asked, “Can you do something ‘pumpkin-y’?” Of course, I thought about Martha’s Pumpkin Swirled Brownies right away! For the event, I thought bites would be better, so I used my cute little heart-shaped cutter to make adorable bite-sized pieces. 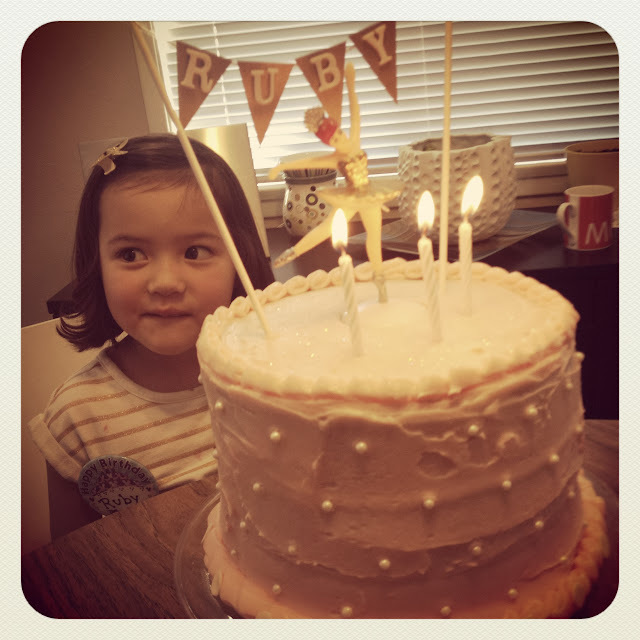 Then, I decided they still needed to look cuter, so I drizzled them with cream cheese frosting. 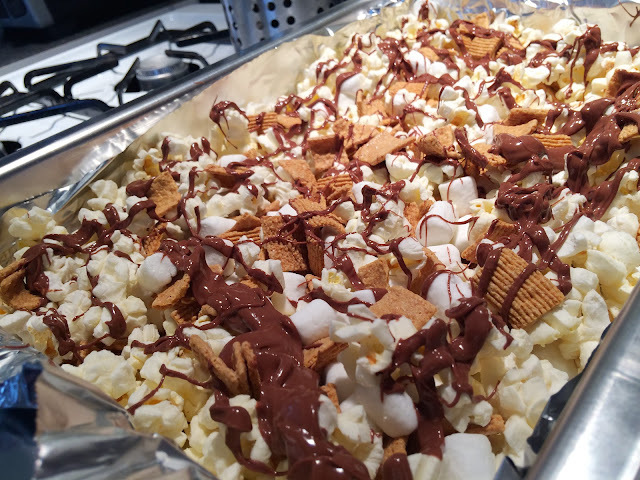 Visit this post to get the recipe! These “brownies” are really more like pumpkin bread with brownie batter mixed throughout. They do have a little bit of an after-bite thanks to a dash of cayenne, so be warned — but truly, it’s that bite that make these guys really special. 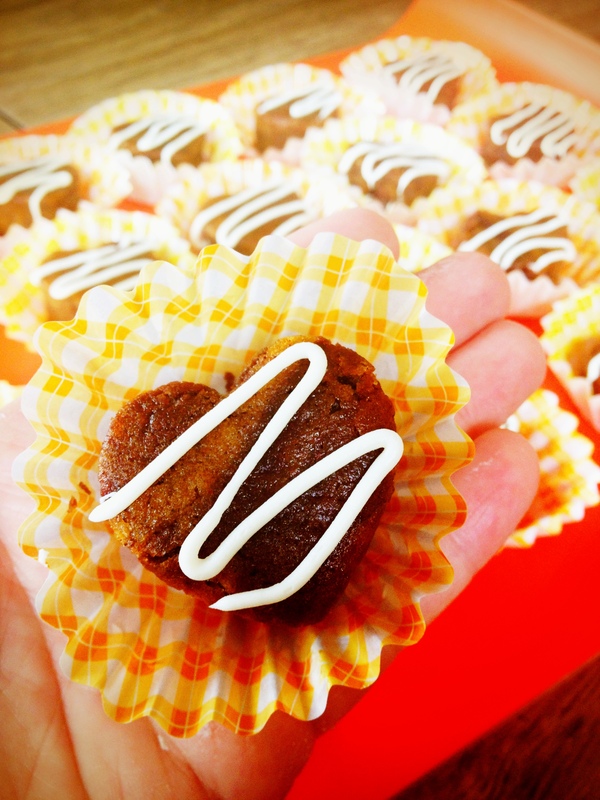 When I serve them as brownies, I like to skip the drizzle, because the brownie/pumpkin swirl is really pretty – but the drizzle on these bites were just perfect!